Lasizwe Dambuza, the first South African celebrity to get his own reality show on MTV. Media going bananas over her latest skits which portrays how Eskom implements load-sheeding. 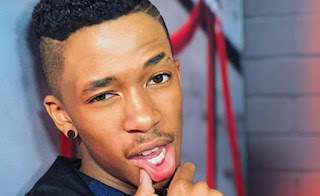 The video which has gone viral, Lasizwe can be seen covering his red wig with a plastic while he choose which city is scheduled for loading-shedding.